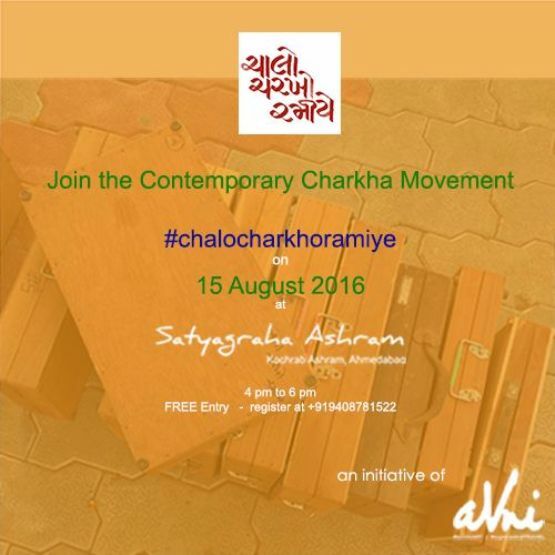 Program “Chalo Charkho Ramiye” was inaugurated on 2nd October 2013 in presence of eminent Gandhian Shri Toofan Rafai at Satyagrah Ashram, Kochrab, Ahmedabad in Gujarat, India. Chalo Charkho Ramiye is one of the activities of the project Tantu-se-Sutra. It is a contemporary charkha movement to Discover, Understand, & Accept creative art of hand-spinning & the spinning wheel “CHARKHO”. Since then a monthly session is organized where people of all age groups and all walks of life are participating with great interest. Till December 2015 over 5500 individuals have attended monthly Charkha learning sessions; mostly every participant started creating yarn in the first session itself.